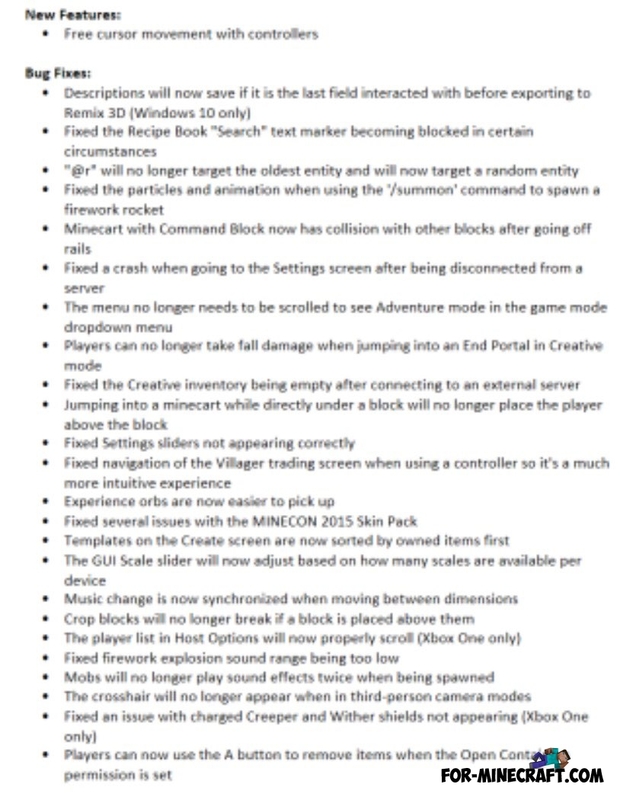 In the coming days, fans will receive the next update - Minecraft 1.2.1 which contains many bug fixes found in the release. As you know, MCPE 1.2 appeared not so long ago, just a few days ago and became available for all operating systems. During this time, the players found a bunch of both large and barely noticeable bugs that will be fixed (not all at once) in version 1.2.1. The information is confirmed, the release of the update is scheduled for the coming days after passing the certification. Presumably this will happen on Tuesday or Wednesday, watch for updates in the game.